My comments from the show are about the *demos* not products. If I don't say anything, it usually means I walked in, heard some music, nothing jumped at me, I took pictures and left. A moment later they may have played something great that would have caught my ears. That said, as I mentioned originally, I am only nothing things that are still fresh in my mind. I have to listen to audio notes I took in my phone to see if there are specific comments I made then that I have since forgotten. 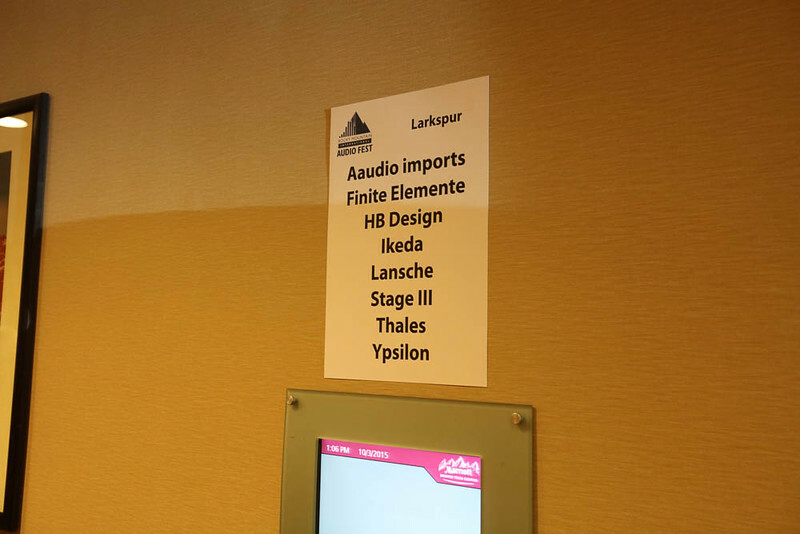 I'm just particularly interested in impressions of this room since I was very close to supplying the speakers for them. They wanted to use these ones, but I designed them to be fully active. They needed something passive to use with their 2 channel amp. So it would have meant me building them a one off and I didn't wanna do it. So they went with the small Maggie's instead. Thanks. Like this one for sure! I wish I had known in advance and could go there on a mission to listen. Maybe I can do that for CES if they are there. 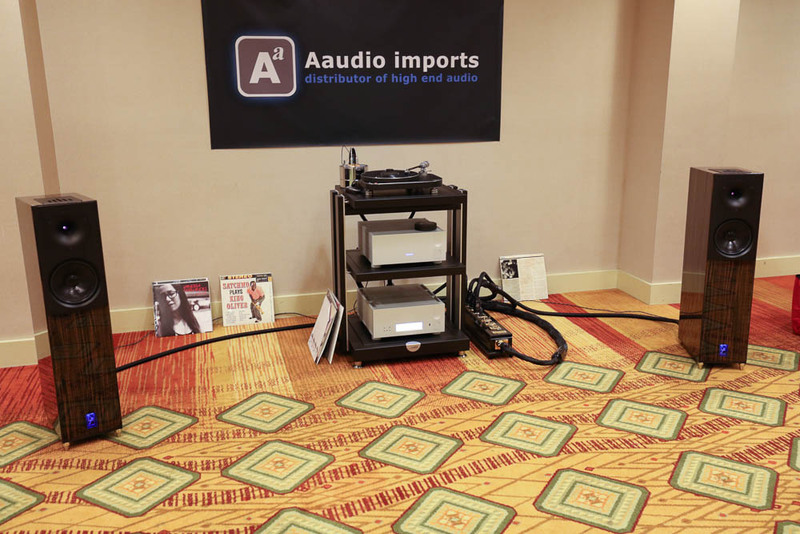 Well they do make good DAC's. Dustin Forman from ESS (The man behind the sabre chip) designs them his self from the ground up. They all live in my neighborhood. That amp they used was in my living room this summer. It's a pretty impressive design. Any sources of high-res for this? As a matter of fact, yes! And from what I have read about it the original recording was mastered at 24/96 resolution. It's just $17.98 here from HDTracks before any discounts. Then you can use the 15% coupon available on WBF, or 20% off with the "AUDIOGONHD20" coupon code. Hope this helps, enjoy the tunes! Wonderful. Should have looked before asking the question . I have to tell you, there is no nicer speaker designer than Luke. So friendly, humble and yet knowledgeable. He had designed these secondary up firing speakers to provide a larger soundstage and they did exactly that. But in a subtle and not in your face. Anyone who thinks reflections should be "killed" needs to listen to an on/off demo of these secondary speakers. So you met my evil twin, "Luke"! He only pretends to be a nice guy so he can take credit for my work. He's really an egotistical jerk who just makes it up as he goes, so don't believe a word he says. Seriously, I'm thrilled that you GET IT about reflections being a good thing when done right (which includes not being overdone). 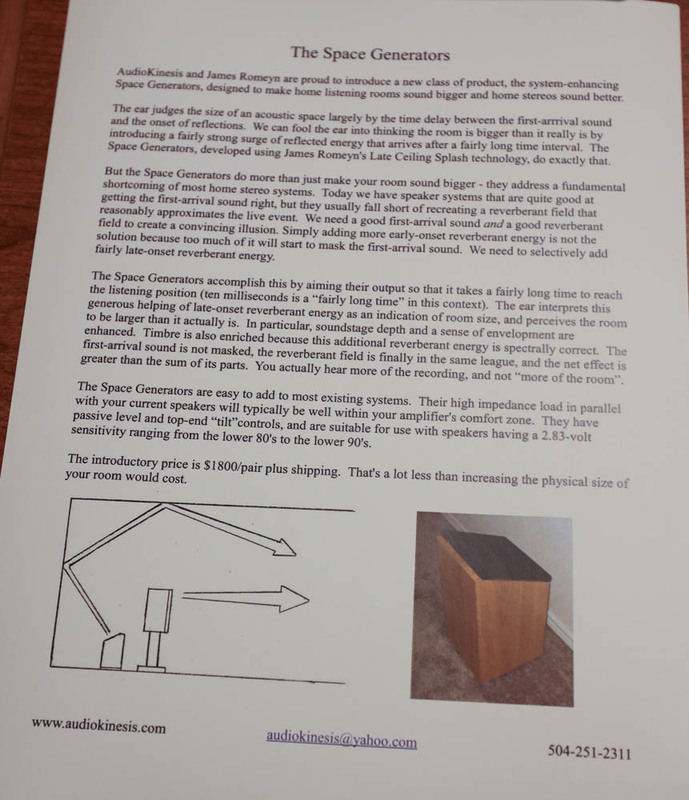 Thank you for including a photo of my propaganda sheet, as I think the principles it describes are useful information whether or not one agrees with the way I tried to apply them. And yes, the drawing is an oversimplification, to a certain extent. Sorry Duke. Getting old is rough, rough, rough . I corrected the original post. It was a pleasure meeting you in person Duke. Keep up the great work in breaking boundaries and assumptions in sound reproduction. No problem, Amir! Thank you very much for coming by our room. amirm, If I may inquire, were the Momentum mono blocks running during your visit to this room or the new Classic stereo? I would be interested in your considerations were the latter to be the case. The Classic amp in the middle was driving the passive subs (in the back). 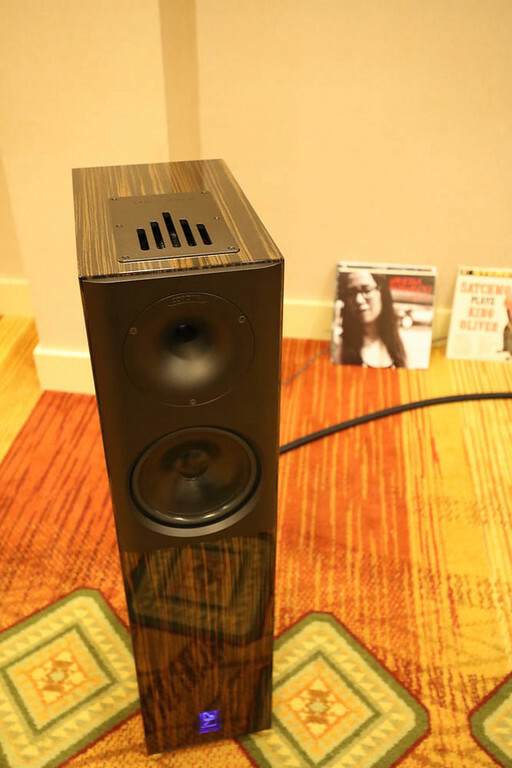 The monoblocks were driving their respected main speakers. As I noted in my teaser threads, this systems sounded excellent. Smooth full range sound without boomy bass or ear piercing highs. 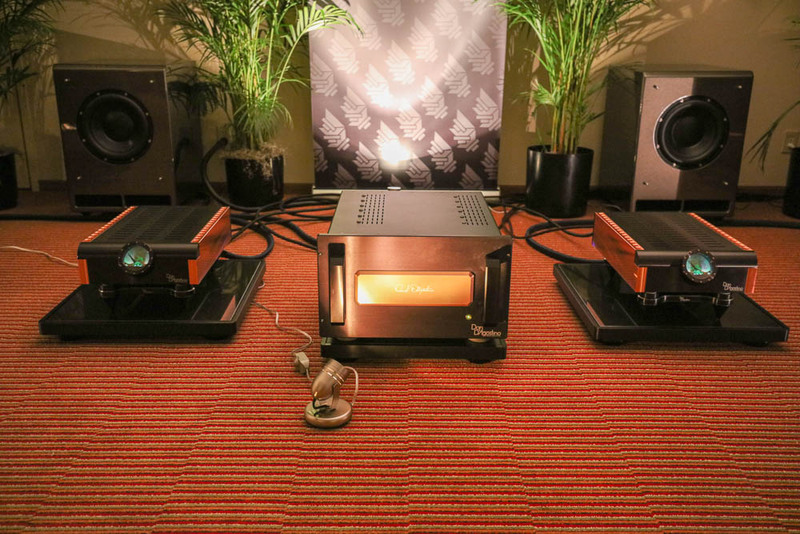 A shame that the Classic Stereo was merely on Sub duty, although understandable given the showcase, still I rather suspect that considering the RRP Dan's new amplifier should prove quite a success. I spent quite a while in this room with Peter switching in/out the subs. You'd certainly wouldn't believe that you would need subs until you heard the difference. That's the next thing on my wish list! They had done a very nice job of using them to smooth the bass. Where they had located them, they were defeating the nulls in the sweet spot. Someone asked them why the subs were not powered and the guy said they would never make them because such subs would be small and not work as well! Did not have the heart to ask them why the exact same amps could not hang off the back of those subs . At some time I owned a Wilson Watchdog. Still regret having sold it when I sold the Wilson Watt/Puppy 7. One of my problems was that the input impedance of the electronic crossover was around 4.5kohm - too low for the Audio Research Ref 5 and cj preamplifiers. I needed to use a buffer or a transformer. The built-in equalizer was quite simple to adjust. Thanks for the hard work Amir! almost like being there! 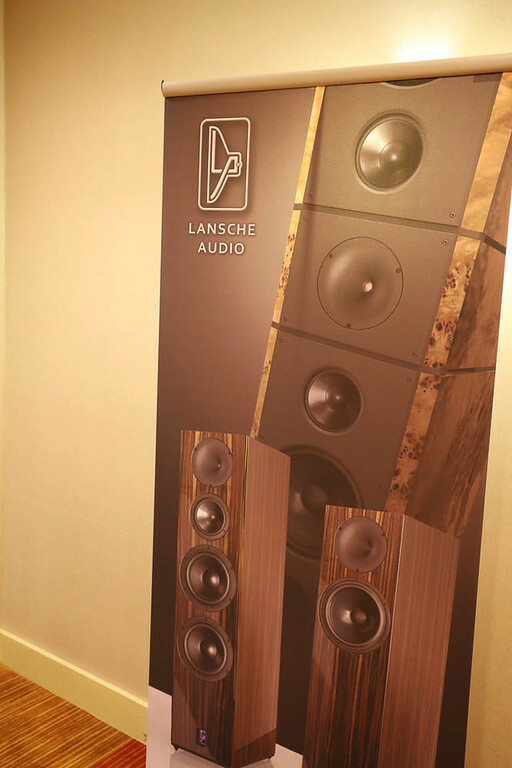 These speakers caught my eyes, any word? How was the sub woofer being rolled off (highs)? IS there a built in electronic crossover in the CLASSIC AMP? I am going to guess that since Wilson makes a Wilson Active Crossover, that they used it here to send a dedicated signal to the Classic amp and the 2 Wilson subs.